ComplyAdvantage helps firms make intelligent choices when complying with regulations relating to sanctions, money laundering, and terrorist financing. We combine Artificial Intelligence and machine learning with industry expertise to allow firms to tailor a risk-based approach to their compliance obligations. Our solutions enable companies to improve how they onboard and monitor clients, screen payments and monitor transactions by reducing false positives and speeding up processes, all delivered by flexible, RESTful APIs. 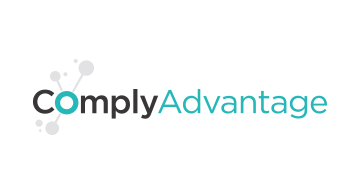 Founded in 2014 with offices in London and New York, ComplyAdvantage works globally with some 350 firms in the financial markets and other regulated high-risk sectors.